Advocating for children to explore, learn, play and reconnect with the outdoors! In 2010, in response to the growing alarm that a lack of time to learn and play outdoors is harming our children’s health and academic success, Governor Jack Markell directed the Delaware Department of Education and Department of Natural Resources and Environmental Control, to convene key partners to address the interrelated challenges of providing all children with meaningful outdoor experiences, improving children’s health, promoting environmental literacy and increasing student achievement. The Task Force was composed of 150 of Delaware’s leaders and in October 2012, the taskforce produced a report outlining goals, recommendations and actions in four areas: education, outdoor connection, community and health. The full report can be read here. In 2013, as a result of the work conducted by the Task Force and the recommendations presented, Delaware’s first Children in Nature (CIN) coordinator was hired. In 2013, the Children in Nature Coalition, a broad and diverse coalition of organizations and agencies that will advocate for policies, programs and infrastructure to facilitate outdoor learning and play for all children and communities, grew to 20 partners. 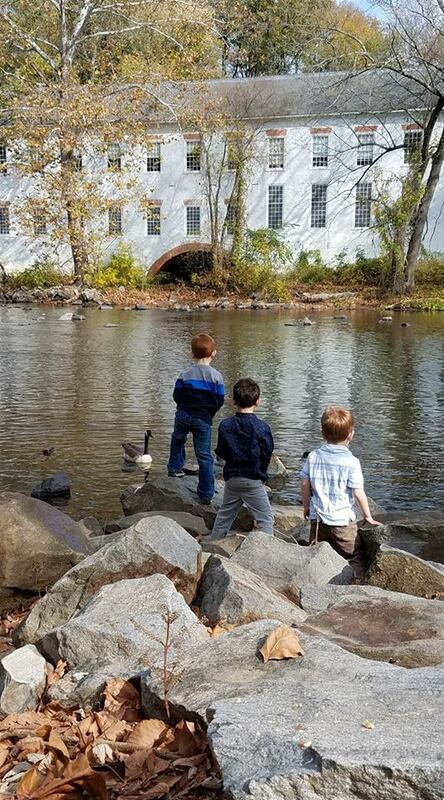 In 2014, CIN celebrated the first Children in Nature Month, which was deemed October of every year by Governor Markell. In 2015 the DWRC officially joined the CIN Coalition and serves as cochair of the Youth Career Pathways group, a subcommittee of the Community Outreach Committee. The Coalition now has over 30 partners. Dr. Outdoor is worried that children are not getting enough time outdoors! Did you know that 21% of today’s kids regularly play outside compared with 71% of their parents? Also, one in three children are overweight and one in six are considered obese. Research has shown that getting outdoors for just 30 minutes or more will help lower your blood pressure, help fight ADHD symptoms, and reduce anxiety and depression. 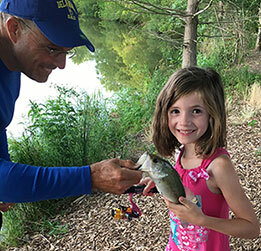 The Delaware Children in Nature Coalition has FREE programs for you listed on our Prescription for Health cards to not only get outdoors but to connect with family and friends through nature! Once you have attended the program, leave your prescription card with the program provider for a chance to win a prize! The more programs you attend each month, the more chances you will have to win! Please pick up your FREE Prescription for Health Card here or at one of the locations listed on the website.